Celtic Park . Picture: SNS. In the week that the SRU hopes to be given the opportunity to host major football matches at BT Murrayfield in Edinburgh, its chief operating officer Dominic McKay was in Glasgow purring over the prospect of big rugby games being hosted by Celtic Park. 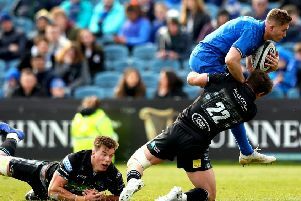 The first of those will be this season’s Guinness Pro14 final on Saturday 25 May 2019 but McKay indicated that he hoped there would be more, although he stopped short of foreseeing the prospect of the Scotland international side playing at the home of Celtic any time soon. “The first thing to do is have an outstanding success of the Pro14 final and what a great showpiece that will be for the city and for Scotland,” said McKay. “Where we might see potential is Glasgow Warriors, who are selling out their games in Scotstoun just now and 8,000 people packed in creates an amazing atmosphere and we’ve got ambitious plans to extend that further. For the time being, the SRU, in partnership with the Pro14, are determined to fill as much of the 60,000-capacity football stadium, and fanzone at the nearby Emirates, as possible in May. Since the move to a so-called “destination final” for the cross-border championship, Edinburgh hosted in 2016 and set a then record of 35,000 for Connacht’s historic win over Leinster. Munster and Leinster played in front of more than 46,000 at the Aviva Stadium for last season’s final and McKay said that provides an obvious target to his team. 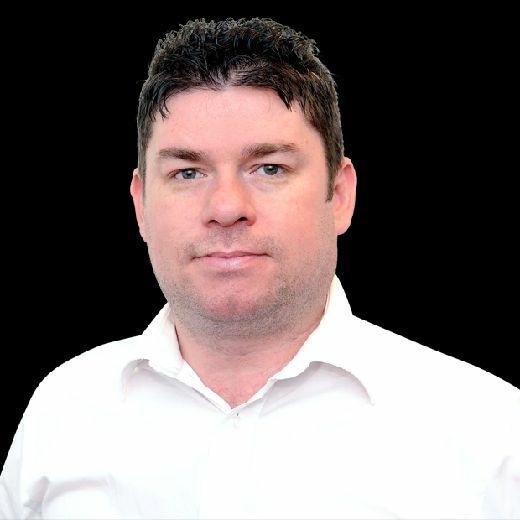 “[Guinness Pro14 chief executive] Martin [Anayi] is pushing us hard to make as much money as possible for the league and we will do all we can to get the biggest attendance possible,” said McKay. “We’re not going to commit to selling it out but we will work in collaboration with our Pro14 friends, Celtic and the city to make sure there is an outstanding crowd. It is a special venue and that will create interest and we will see people travelling not just from Ireland, Wales and Scotland, but also from Italy and England because the venue is so special. McKay allayed fears about the dimensions of a football ground, which have proved problematic in some instances, insisting that the in-goal area will be “tight” but within World Rugby regulations. McKay added: “Of course, a massive thank you to Celtic. They’ve put in the rugby posts and the rugby sockets in their last re-furb and we’ve been discussing with Celtic for some time the possibility of hosting a rugby event at Celtic Park. “It will be a brilliant atmosphere because the way in which the stadium is configured means the supporters are very close to the action. It will be an outstanding event. The fact that it’s 60,000 gives us a challenge. Having one of the Scottish pro teams, Glasgow or Edinburgh, making it to the final would obviously make the prospect of a capacity crowd more likely, but Anayi is confident the occasion will sell itself. “We’ve had Munster and Leinster against Scarlets in two finals in Dublin and it has gone pretty well,” he said. “A Glasgow v Leinster final would not be the worst thing in the world! McKay said he wasn’t concerned about the lack of terrestrial TV coverage in Scotland this season and for the final after the deal with subscription channel Premier Sports. “No, there are free to air options,” said McKay. “That is part of the package which has been signed up with Premier and Free Sport. What we are passionate about is making the right investment to our clubs.